Beautiful and modern typography make this needlepoint ring bearer pillow one that will give your wedding a contemporary feel. A special pillow any little ring bearer will be excited to walk down the isle. 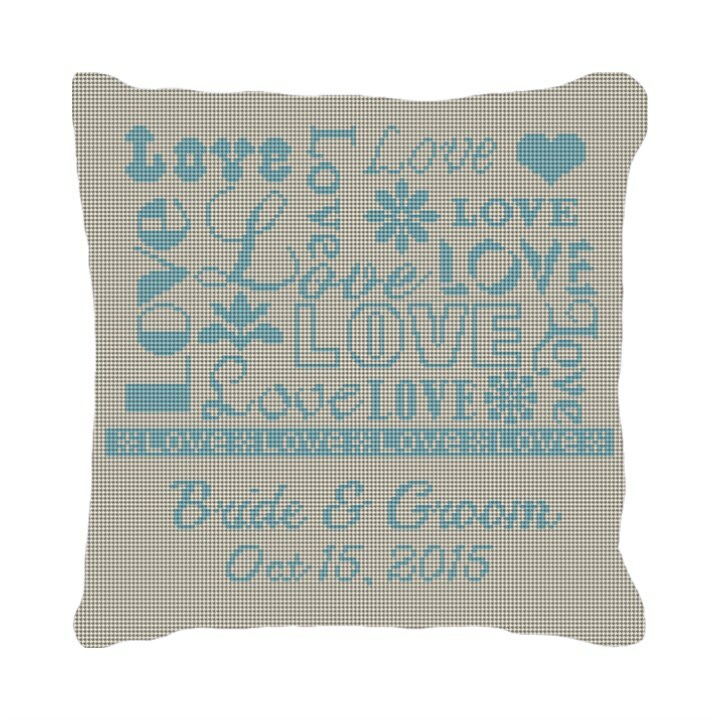 If you would like to change the colors of this pillow to match your wedding colors please let us know.